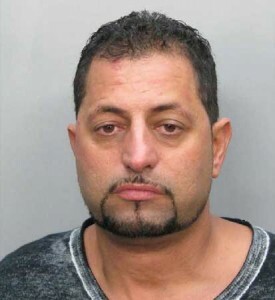 Miami, FL - An appliance store owner accused of yelling “I want to kill all the Jews” on a Detroit-bound plane at Miami International Airport has pleaded guilty and was given probation. Forty-three-old Mansor Mohammad Asad, of Toledo, Ohio, plead guilty Thursday to charges of criminal mischief, disorderly conduct, resisting arrest without violence and threatening a public servant. Under the agreement, Asad received three years probation and is barred from both airplanes and rail mass transit. He has to pay $27,500 as restitution to the airline and undergo psychiatric evaluation and treatment, if necessary. He was arrested Jan. 6 after a taxiing Northwest Airlines flight returned to a gate. Asad faced more than 11 years in prison if convicted. That's crazy. He should have been institutionalized. What do they need now? Dead bodies? The guy is a crazy Arab. Was he even a US Citizen? This is what our country has come to.... You have a guy SCREAMING FOR THE WHOLE WORLD TO HEAR that he wants to kill every jew and what does he get, not a bullet to his head, but PROBATION!?!?! I am sure that if he would have threatened some other groups, troublemaker Sharpton would have been all over the news screaming that he should be sentenced to life imprisonment but because he just threatened Jews that's OK. Can we know the ethnicity of that moron judge? How on earth was this case settled so quickly with so little punishment. I smell a white wash.
1. I don't see that he committed a crime. The same First Ammendment that guarrantees your right to daven publicly guarrantees his freedom of speech, even hateful speech. (peasant, agreeable speech doesn't need a guarrantee). He did not utter a specific threat. Had he said, "I want to kill THAT Jew. ", that speech would not be protected. 2. Re: "bullet". Big talk. are you gonna do it? He screamed. He yelled bad things. He is undergoing psychiatric evaluation. He didn't actually hurt anyone or try to hurt anyone. This seems like a perfectly reasonable result. He really looks like a loser. And he must be retarded too. Sure - this guy threatens to kill and gets probation. Rubashkin gave parnassa to 100's of people and built up a town - but he ends up in solitary confinement with no chance of a fair trial. This guy should get a bullet for speech but Martin Grossman who murdered a police woman execution style using her own gun should get life in prison? Guys like this are not like the ones who invented algebra. I wouldn't worry too much about this nebach. “ Sure - this guy threatens to kill and gets probation. I was wondering how long it would take for someone to bring up Rubashkin. Why didn't you complain about Martin Grossman a"h too while you were raising irrelavent issues? Reply to # 5. Raphael Kauffman , are you a Jew ? I give him 3 months to land in trouble again. He should have,also, been barred from walking the streets. Martin Grossman gets the treatment of a great hero, his fellow Jews weep for him and declare him a tzaddik and he gets a huge funeral. Strange world. This man is a danger to society especially to Jewish Americans. He should be locked up. The Judge who gave him probation is the crazy one. Raphael Kauffman's Yiddishkeit is neither here nor there in the context of this thread. However, your craven cowardice, amply demonstrated by you hding your own identity, speaks volumes. Jewish, Israeli and extremely proud of both. Anybody who can leave America should (and lav davka for EY either unless EY gets out of the US sphere of influence) because it is no longer what it used to be. China will surpass the US soon, and the US will become like any third rate European country; OK to live in if you want to muddle through life but no place to succeed and make it big - and those who lose jobs etc will take it out on the Jews. Why do people start accusing other posters of not being Jewish or Frum whenever they disagree with what they said? Grow up! You are so childish. If you disagree, state your reasons why in a clear & respectful way. Who knows, if you actually make sense you might get poster #1 to change his mind! Yes, and an American too. P.S. I'm filling in for Milhouse who mis on vacation. You know, Mel Gibson asked the cop that very same question. Of course, he was a drunken lout. Are you? Abe Foxman, where are you? Missing in action again on something that is truly important! “ 1. I don't see that he committed a crime. The same First Ammendment that guarrantees your right to daven publicly guarrantees his freedom of speech, even hateful speech. (peasant, agreeable speech doesn't need a guarrantee). He did not utter a specific threat. Had he said, "I want to kill THAT Jew. ", that speech would not be protected. This man has no right of free speech sitting on an Airplane, a private domain, with only paying passengers sitting with an expectation of safety and security, which was clearly threatened in a physical manner. This should have been a felony disturbance of safety of passengers. On 9/11, one terrorist took a knife and slit a Yid's throat at the start. This terrorist could have done the same thing. We do not know if the Police confiscated a weapon from his possessions. Do YOU Mr. Defense Attorney? Rubashkin HAD a fair trial. He broke the law. So long as you fail to recognize that the law of the land (US) IS is the law of the land you will continue to represent a Hillul Hashem. It is unfortunate that Rubashkin is in solitary (for his own safety) before his sentencing. But that's what you get when, at the time of his arrest, he had TEN passports in is possession. What on earth are you talking about? Of course he had ten passports in the house. He has ten children. How many passports should he have? And the law of the land is indeed the law of the land. That's a tautology. But what does that prove? Who says one must obey the law? What moral authority does it have? And since when is it a chilul hashem to break it? Do you really think every time someone smokes a joint, or jaywalks, it's a chilul hashem?! Nobody cares about the law just because it's the law, or thinks less of someone for breaking the law.